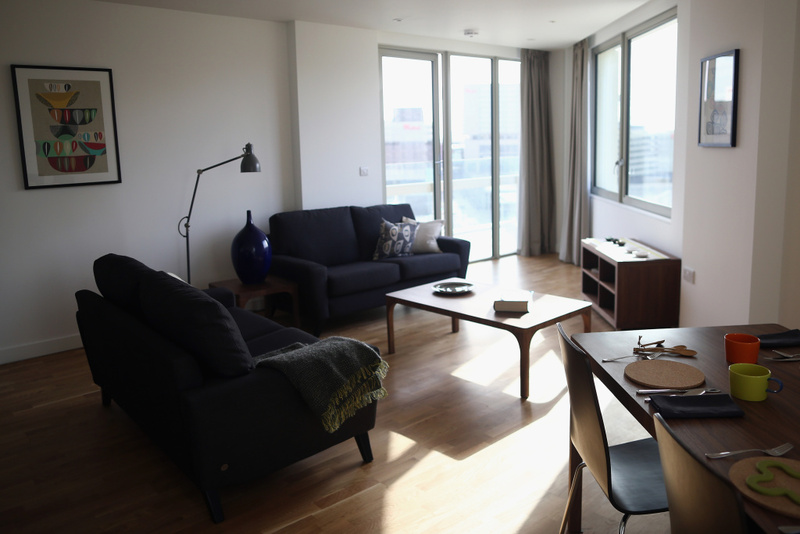 A general view inside an apartment in London, England. A new trend on the rental market is testing the waters in London, New York, and D.C. Dubbed co-living spaces, they are akin to a monied, millennial version of college dorms or retirement homes. Opening in London's West End this week, an 11-story tower features 550 en-suite bedrooms plus shared kitchens, living spaces, a gym, library, and other amenities. In the US, WeWork, the company that brought sleekly designed shared work spaces to dozens of neighborhoods and cities including Pasadena and Santa Monica, has opened WeLive dwellings in Manhattan and a D.C. suburb in Virginia. While renters might expect cheaper rent for co-living spaces, the proprietors are betting the added value of having a community and upscale amenities is more attractive than a tradition one-bedroom or roommates. Would co-living towers hold appeal for Angeleno tenants? What are the economics driving this new trend?